Have you considered using engineered wood flooring? Did you ever put down a hardwood floor? If so, you know you walk out of the room covered in stain, dust and are lucky if your nose hairs are not burned off after breathing in all the fumes for a couple of days. If you would still like the look of hardwood floors without all the painstaking work, consider engineered wood flooring. Unlike laminate flooring, you lose none of the look or quality that you want with hardwood floors when you install engineered wood flooring. This is the same exact thing as standard hardwood flooring, but a little easier to install. Instead of having to go to the trouble of sanding and all the other work that is involved, you only need to install it and then it is good to go. There are also benefits to using engineered wood flooring instead of laminate flooring. The first and most important is that scratches will not ruin the floor. When you have laminate flooring, it is easy to put down and easy to care for, but if it gets a dig or scratch on it, the piece of flooring is ruined. With engineered wood flooring, you can sand down the spot and refinish it, and nobody will be the wiser. The one argument that laminate floor fans will present is that engineered wood flooring is more expensive than laminate hardwood flooring. While there is no arguing this point, the fact that the laminate cannot be sanded puts the flooring at risk and can make the flooring more expensive in the long run. All you are going to need is to ruin a few pieces, and the savings will be more than eaten up. While it is advised that you avoid putting down hardwood flooring in wet areas, you can do so with engineered wood flooring if it is only going to be light moisture. Areas such as your basement and kitchen are ideal areas for this type of flooring. If they are not overly damp or experience leaks or flooding, you should have no problems with your flooring. Something else to consider is the ease of installation with this type of flooring. You will have two options in regard to securing your floor: nailing it down or gluing it down. If you get the thinner planks that are about 3/8" thick, you are best served to secure it by nailing it down. The next size up, can be glued down. This is a very attractive option as you will not risk damaging the finish that has already been applied to the flooring. 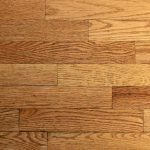 If you want great looking floors, but do not want to go through all of the work that standard hardwood floors are known for, consider installing engineered wood flooring. It will take you less time, give you real hardwood floors and give you the added benefit of a longer life than laminate flooring.